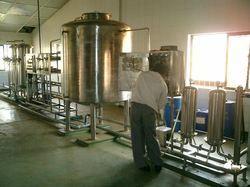 Aguapuro Equipments Private Limited has always kept its quality standards high. For us quality is not only a mere word but it is the medium for us to seek excellence and perfection in our area of functionality. Since inception, we always strive hard to maintain the quality standards of our products to ensure we not only meet the demands of our clients but exceed their expectations. We strictly adhere to guidelines and norms in our entire process to ensure a range of world-class products is developed. Our entire production and packaging process is carried out under hygienic and controlled environment. We strictly adhere to total quality management (TQM) in our manufacturing process with the help of our in-house quality control department. Our diverse range of blades is sterilized with the aid of Gamma Radiation. We have also been accredited with an certification and our entire product range. The quality of the products and high reliability has made us register our products with various health ministries across the globe.